Samsung Gear Sport is now on sale in many countries and to boost its sales Samsung has already been started many exciting offers. In US new Gear Sport users will get free earbuds and in European countries company is giving some price discount. It has been showing good market in its home country & Europe. Now to attract more customers in US, Samsung has announced that the new users can get 6 months of free Spotify subscription. This is good bonus to customers that they can save some money on it. Spotify is the only Music streaming app available on Samsung Gear series including Gear S3 Frontier, Gear S3 Classic and previous generation Gear S2 smartwatches. It is the advanced version in Gear series. The Gear Sport is 1.2″ fitness tracker built with 360×360 Super AMOLED full color AOD screen. And Gorilla Glass 3 technology will protect it from unwanted scratches & damages. This fitness tracker runs on 1GHz dual core processor with 4GB internal & 768MB RAM. It comes with 300mAh battery power to run last longer. This device has Tizen 3.0 operating system with custom UI. It is new version from Tizen and excluding it, only Samsung Z4 runs on Tizen 3.0 update. In extra features it has Gyro Sensor, Barometer, HRM, Accl and Ambient Light sensors to track in outdoor. For the connectivity, Gear Sport is ready with Bluetooth 4, Wi-Fi, GPS/Glonass and NFC technology. This is waterproof device in 5ATM & 50 meters deep. 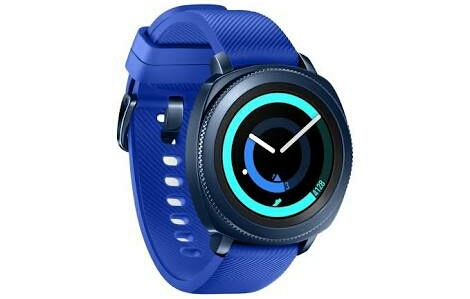 If you are thinking to buy new Samsung Gear Sport gadget then this is the perfect time. Go & grab with best offers. Yes, it also comes with Spotify Offline music feature that allow you to save your favorite music on the device. To buy Gear Sport in US go to online retailers or official Samsung website. This is limited time offer so you must be hurry.